Unicorns: the most magical, mythical creatures of the forest. It’s only logical that these enchanted beings would poop sprinkles and rainbows. “How to make unicorn poop” definitely makes the short list of things I never thought I’d have to Google. But when my daughter approached me about wanting to make it, I found the entire concept hard to resist. We came up with 3 easy recipes so you can make your own unicorn poop and have a little bit of goofy snack time fun with your kids. We promise you’ll never look at a rainbow the same way again. 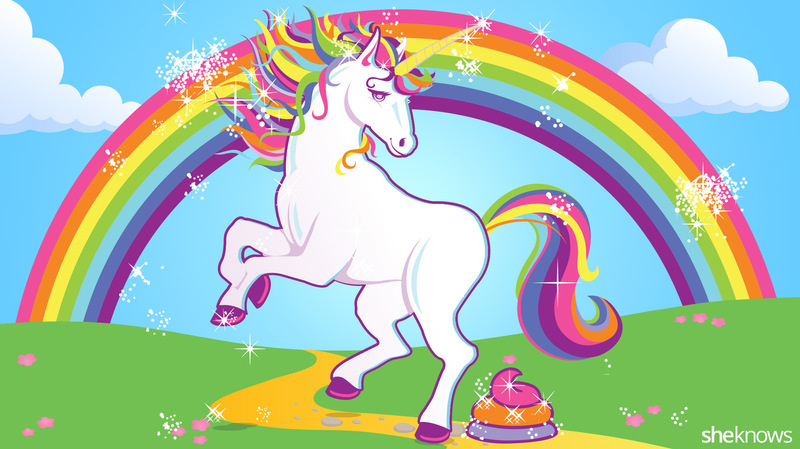 Because of course a unicorn poops rainbows, right? 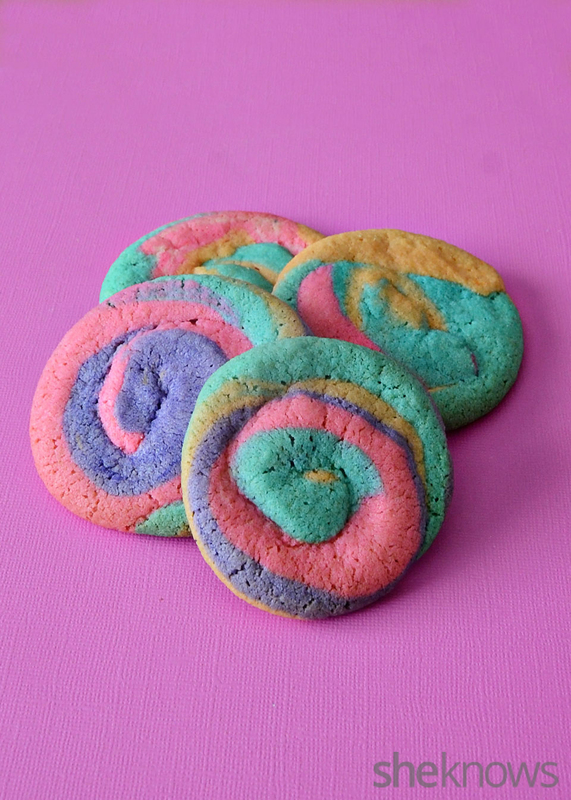 These brightly-colored, swirly cookies promise to be the tastiest rainbow poop you have ever baked in your kitchen. By rolling the dough into long tube shapes and then swirling them into cookies, you can be as creative — or realistic — as you want when forming the shape of your unicorn poop cookies. Prepare the sugar cookie mix according to the package instructions, then separate the dough into 4 or 5 small bowls. Add a few drops of food coloring into each bowl and mix the food coloring with the dough until the food coloring is completely mixed in. Grab a small piece of dough from each bowl and roll the different pieces of dough together into a ball. Roll the ball of dough back and forth between your hands until it becomes a long thin piece of dough. Wrap the dough into a spiral and place it on a piece of parchment paper on top of a cookie sheet, then bake the cookies according to the package instructions.